Splashing your bedroom wall and furnishings with your favourite colour may seem like a good idea at the time, but you could find it ends up impacting your wellbeing. For example, red has been proven to increase blood pressure and primary colours are not generally viewed as relaxing. Research the psychology behind your colour options before decorating the room. Displaying green will help you to relax, and lighter shades of purple are ideal for creating a feeling of serenity. Colour isn’t the only feature that affects your wellbeing. Natural light has also been shown to have a number of mental health benefits, including boosted productivity and happiness. So, it’s important to let it in where you can. Open curtains during the day and use mirrors and reflective furniture to increase the natural light around the room. Although light has its advantages, you need to ensure it can be blocked when necessary. Sunshine and street lighting can cause difficulty with sleeping. Using blackout blinds and curtains are easy solutions to implement. Your bedding may also negatively impact on your sleep and comfort. Feeling too hot or too cold in bed are not conducive to a good night’s sleep. Make sure that the material of your bedding matches the season. Even in a British summer a 15 tog duvet will be excessive! For winter a high tog duvet will be welcome, along with cotton-brushed sheets. During the summer, opt for more breathable fabrics. Both linen and cotton sheets are ideal in a heatwave, or simply opt for a lower tog duvet. During in-between seasons you can always use a low tog duvet and layer with throws – both stylish and flexible. Choose complementary colours as well. White floral patterns will fit in with any season and help reflect the heat in summer, whereas darker shades will retain warmth during winter. Your flooring choices will also impact your comfort levels too. Thick carpets will not only aid the room in heating up over the colder months, but ensure your feet are cosy. However, if you prefer wooden floors, these can still be warmed up using soft rugs. 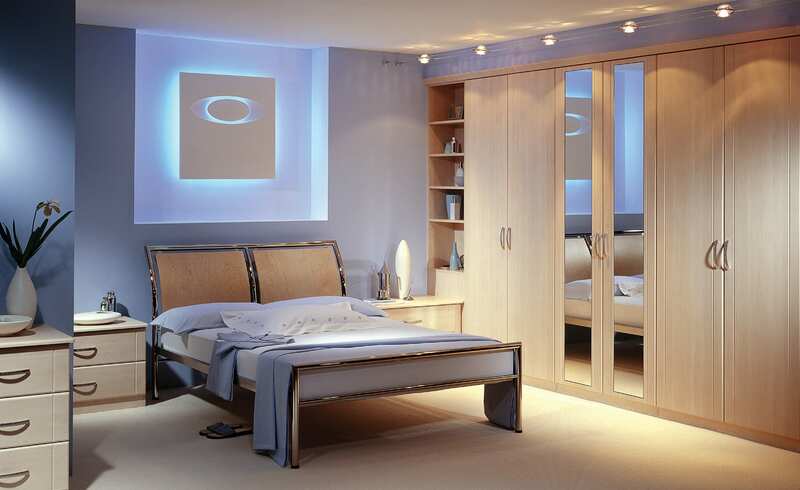 This will also allow you to incorporate attractive colours into your bedroom, boosting your feeling of wellbeing. Not having enough room to move around your bedroom can make you fall out of love with the space. Plus, if you don’t have adequate storage, you may find that items consistently accumulate on the floor, or they get in the way. You can claw back this space by employing fitted bedroom furniture. Made to fit your room’s measurements, pieces like bespoke wardrobes will slot into your bedroom perfectly, giving you more available storage, and making organising your home easier too. With a bedroom that maximises comfort in all ways, your mind will feel much more relaxed. 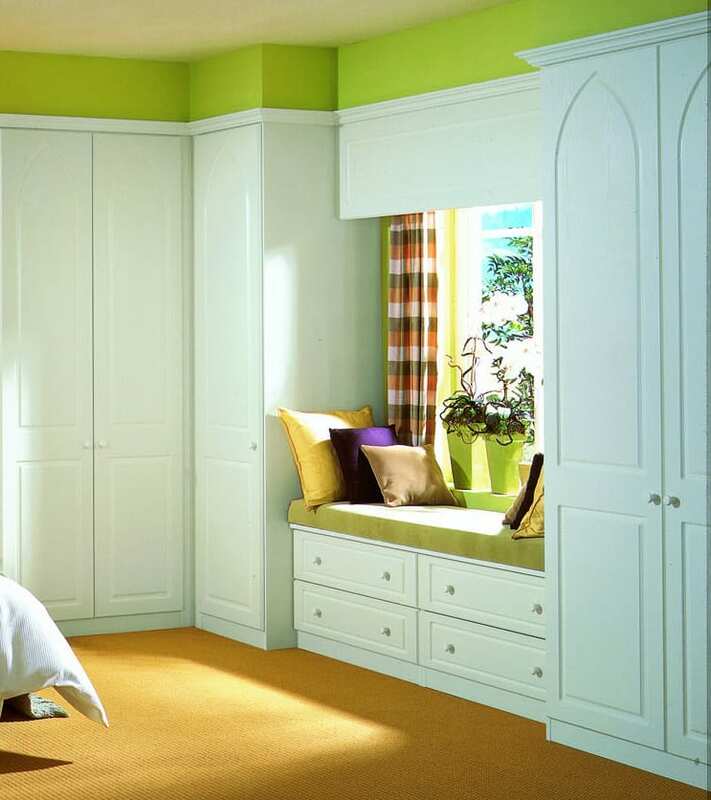 Plus, our creative and design advice will ensure that your bedroom meets your requirements. 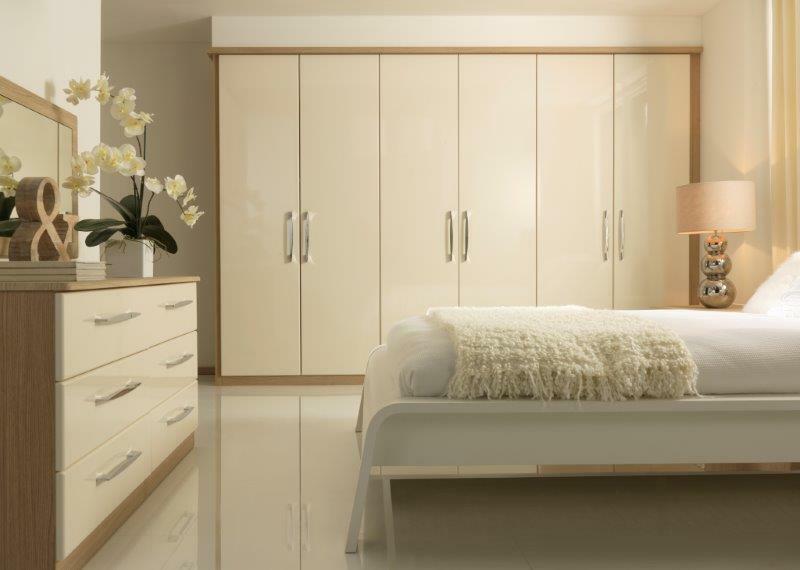 Get your dream comfortable bedroom by calling our team today on 01756 700471. We can even pay you a design visit. Or, to see our furniture in all its glory, there’s the option to visit our showroom.